I’ve been making this same recipe (from Allrecipes.com) for a year now. It is SO good. The first time my husband tired it he said, “Wow….WOW, this is like a symphony in my mouth…flavored to perfection”. 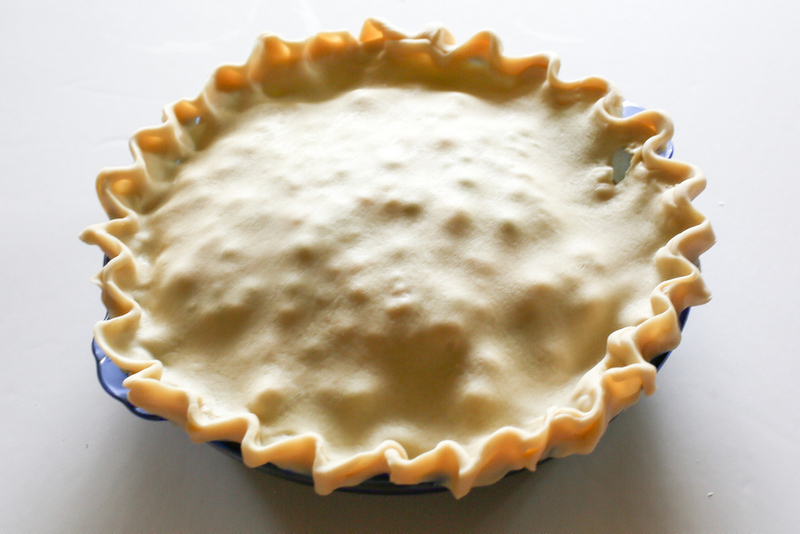 Preheat oven to 425 degrees F (220 degrees C.) Place one of the crusts in the bottom of a deep dish pie pan and prick with a fork. I like to slightly bake the bottom crust before filling the pie so it isn't soggy. Just bake for 5-6 minutes at 425 degrees. 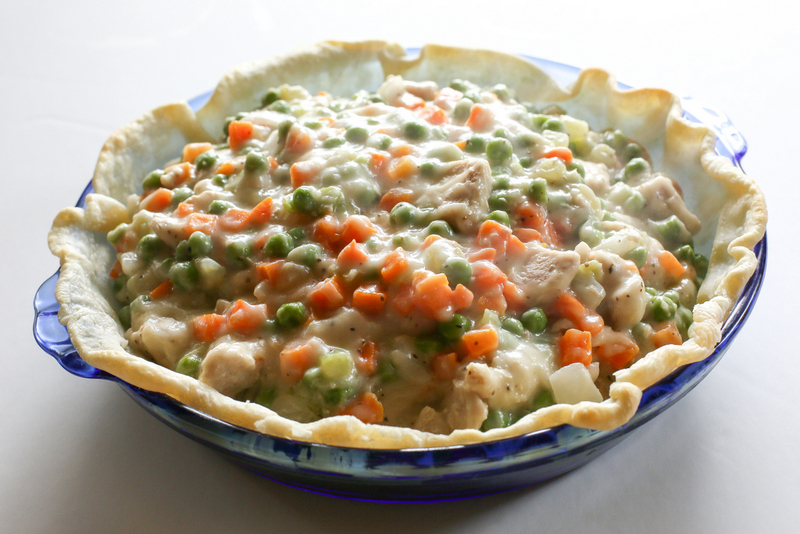 In a large pot, combine the raw chicken, carrots, peas, celery. Add the carton of chicken broth to cover and boil for 15 minutes. Remove from heat, drain into a bowl (reserving 1¾ cups chicken broth for filling) and set aside chicken mixture. In the saucepan over medium heat, cook onions in butter until soft and translucent. Stir in flour, salt, pepper, and celery seed. Slowly stir in chicken broth and milk. Simmer over medium-low heat until thick. Remove from heat and combine with the chicken, carrots, peas, and celery mixture in a large pot or bowl (I use the pot that I boiled the chicken in). Here you can add more chicken broth if you like depending how runny you want your filling. 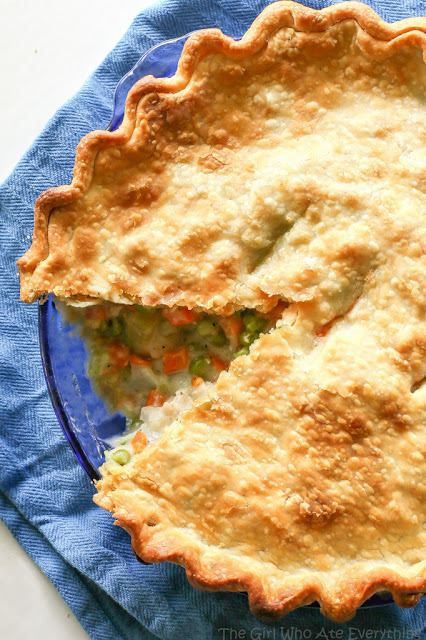 Place the chicken filling on top of the bottom crust. Cover with top crust, seal edges, and cut away excess dough. Make several small slits in the top to allow steam to escape.